The rookie had a flawed performance against the Chargers, fumbling three times of offset two touchdown passes during a failed fourth-quarter comeback bid. But Harbaugh and the Ravens are fully behind the fleet-footed Jackson, who didn’t get his first NFL start until the 10th game of the season. He left little doubt that Flacco won’t be part of the equation in 2019. “Joe’s going to have a market. 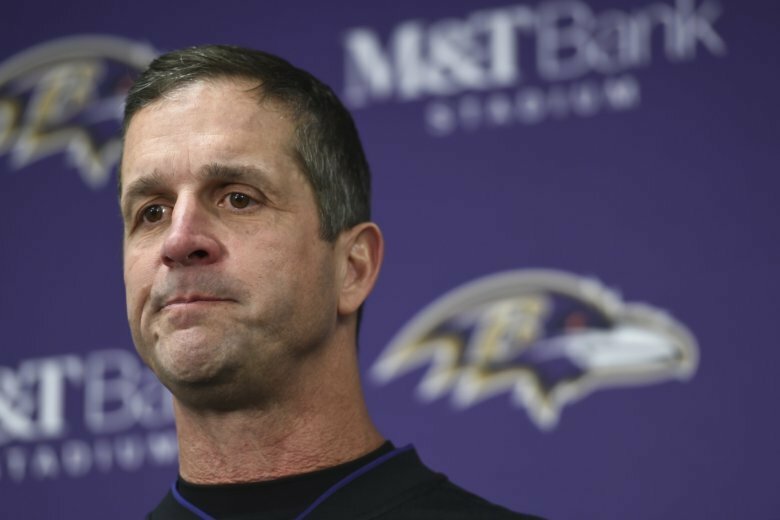 A lot of teams are going to want Joe,” Harbaugh said. Flacco’s hip injury in November opened the door for Jackson to start, and the rookie maintained the job after the team went on a hot streak. The Ravens can’t afford to pay Flacco to be a backup, so the veteran’s postgame session with the media had a nostalgic feel. First-year defensive coordinator Don Martindale put together the league’s No. 1 unit this year, restoring a tradition for a franchise that has long relied on stuffing the opposition.